Meng Wanzhou, the arrested chief financial officer for tech giant Huawei, has the means and motive to flee Canada, the United States argues, and she should remain in custody until extradition proceedings begin. 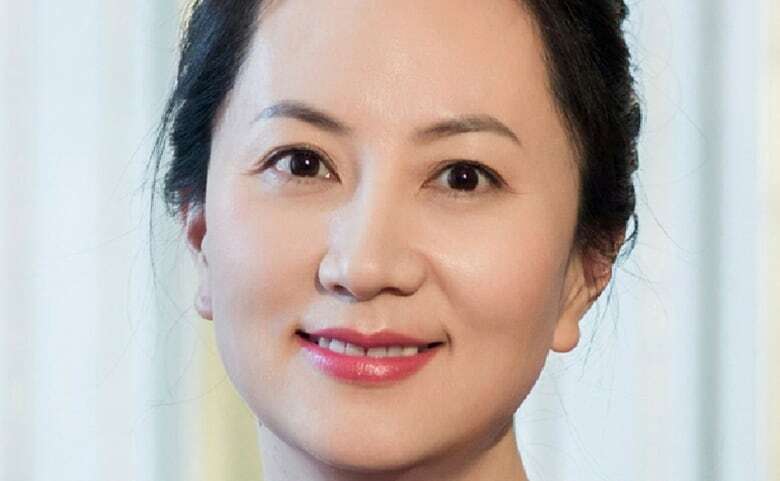 Meng Wanzhou, the arrested chief financial officer for tech giant Huawei, will spend the weekend in a Canadian jail after a bail hearing adjourned Friday afternoon. 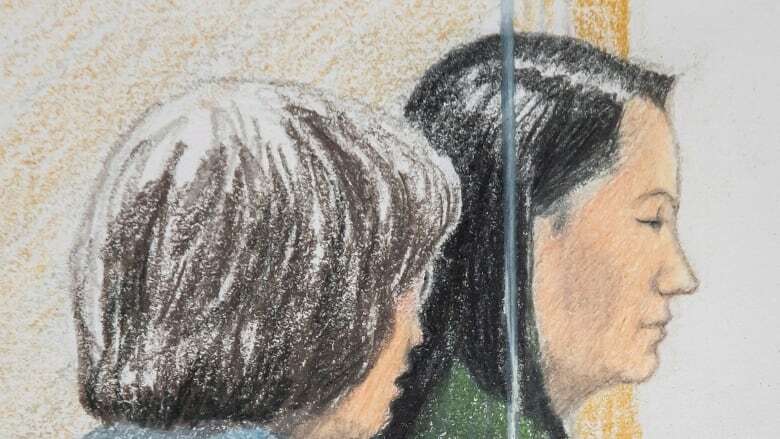 The United States argued that Meng has the means and motive to flee Canada and she should remain in custody until extradition proceedings begin. That allegation was contained in an affidavit filed this week by the U.S. Department of Justice and provided to CBC News Friday. Crown counsel told a Friday bail hearing in B.C. Supreme Court in Vancouver Friday that Meng is "charged with conspiracy to defraud multiple international institutions," with each charge carrying a maximum sentence of 30 years in prison. Meng, 46, is wanted for extradition from Vancouver to the U.S. on allegations of fraud, including using a shell company to skirt international American sanctions over five years, court heard. American officials are seeking Meng's extradition so she can be prosecuted in the States. 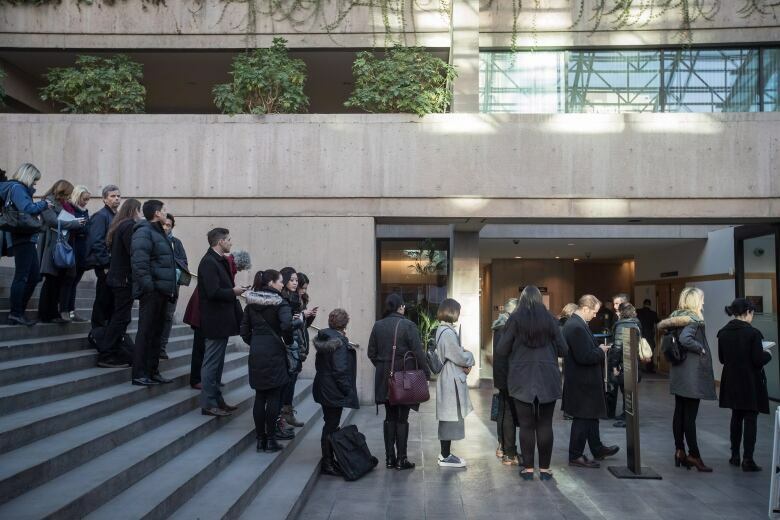 The bail hearing is set to resume Monday in Vancouver at 10 a.m. PT. John Gibb-Carsley, a lawyer acting for Canada's attorney-general, said Meng allegedly used an unofficial company called Skycom to access the Iranian market between 2009 and 2014 — dealings that would be in violation of U.S. sanctions. Meng is also accused of making public misrepresentations about Skycom, saying it was separate from Huawei, when the U.S. contends the companies were one and the same. The case has rattled international stock markets, in fear Meng's arrest would derail planned trade talks — and a potential trade truce — between China and the U.S., the world's two largest economies. The Justice Department affidavit painted a picture of a woman with immense financial resources who had already attempted to evade U.S. arrest warrants for allegedly violating American and European Union sanctions. It said she possesses "no fewer than seven passports from both China and Hong Kong." Her father, Huawei founder and CEO Ren Zhengfei has a fortune worth $3.2 billion US, the affadavit says. It alleged that around April 2017, Meng and other Huawei executives became aware of a U.S. criminal investigations into the company's practices and began to alter travel patterns to avoid American authorities. "Meng has tremendous financial and logistical resources at her disposal and could easily flee Canada, should she so choose," the affidavit read. "Meng has the resources to flee from prosecution and remain a fugitive indefinitely." The U.S., the affidavit noted, has no extradition treaty with China. Meng arrived at her hearing without handcuffs, wearing a dark green sweater, smiling and shaking hands with her lawyer before the judge arrived. Media and dozens of members of the public crowded the courtroom, with another crowd outside the building. During the hearing, Gibb-Carsley said the Attorney General of Canada does not want Meng released from custody, echoing U.S. concerns that she has an incentive to flee and vast financial resources. The Crown also claimed Meng does not have meaningful ties to Canada, noting she owns two homes in Vancouver but only vacations in the city for a few weeks in the summer. Meng was arrested in Vancouver on Saturday, en route from Hong Kong to Mexico. Gibb-Carsley said her arrest warrant was issued in New York on Aug. 22. Her lawyer, David Martin, said the court could rely on Meng's "personal dignity" in trusting she would never breach a court order. He said private security and surveillance could be an option, if Meng were granted bail. Martin insisted Meng isn't a flight risk because her husband is in Vancouver. Previously, a publication ban prevented the U.S. Department of Justice from releasing further details about the arrest and subsequent hearing. Several media outlets, including CBC News, challenged the ban. It was lifted as the first matter of business at Friday's hearing. Huawei is one of the world's biggest suppliers of network gear for phone and internet companies. The telecom company also makes smartphones, standing as the second-leading seller for two quarters straight — behind Samsung and ahead of Apple, according to the International Data Corporation. 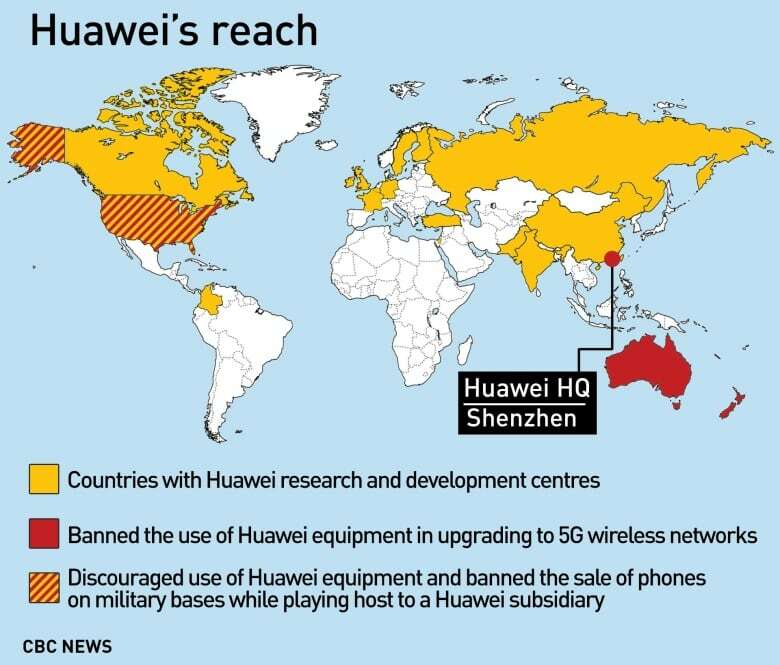 Huawei is also under scrutiny from the U.S. and other governments over suspected ties to the Chinese government and possible links to spying. Meng is also deputy chair of the board at Huawei. The company says Beijing has no influence over its operations. Chinese officials have expressed concern about the arrest, with the Chinese Embassy in Ottawa calling it a serious violation of human rights. Chinese foreign ministry spokesman Geng Shuang also said Canada should have explained why Meng was arrested. On Thursday, Prime Minister Justin Trudeau said Ottawa had a few days' notice prior to the arrest, but said he hadn't had any conversations with China's premier or ambassador about the case. On Friday, Foreign Affairs Minister Chrystia Freeland said Canada's ambassador in Beijing, Ambassador John McCallum, had briefed the Chinese foreign ministry. "He has assured China that due process is absolutely being followed in Canada and consular access for China to Ms. Meng will be provided, and that we are a rule-of-law country and we will be following our laws as we have thus far in this matter and as we will continue to do," Freeland said from Berlin.